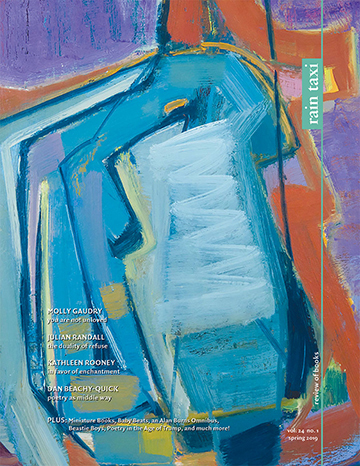 Angel Leto and an acquaintance named The Mathematician—who, deeply tanned and always dressed in all white, “seems less like a flesh and bone person than one of those archetypes you see on billboards, those for whom every contingency inherent to humanity has disappeared”—walk twenty-one blocks together through the city, discussing a party celebrating politician Jorge Washington Noriega’s sixty-fifth birthday despite the fact that neither of them were in attendance. 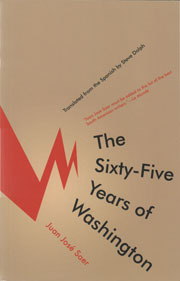 In long, clause-on-clause sentences, this ambling conversation forms the basic plot of Argentinian Juan José Saer’s novel The Sixty-Five Years of Washington. It is, as we know, morning: though it doesn’t make sense to say so, since it is always the same time—once again the sun, since the earth revolves, apparently, has given the illusion of rising, from the direction they call the east, in the blue expanse we call sky, and, little by little, after the dawn, after daybreak, it has reached a spot high enough, halfway in its ascent let’s say, so that, through the intensity of what we call light, we refer, to the state that results, as the morning—a spring morning when, again, though, as we were saying, it is always the same time, the temperature has been rising, the clouds have been dissipating, and the trees which, for some reason, had been losing their leaves bit by bit, have begun to bloom again, to blossom once more, although, as we were saying, it is always the same, the only Time and, so to speak, from equinox to solstice, it’s the same, no? Saer makes use of that “utmost simplicity” with his easy plot, while ecstatically and radiantly writing of “the abstract order of everything” as well. It’s not a perfect novel—even at a slim 203 pages, it’s a bit overlong and the middle passage gets tiresome—but the opening and closing thirds are phenomenal, demonstrating a dazzling unification of form and function. This entry was posted in Uncategorized and tagged spring 2011 on November 14, 2013 by admin.